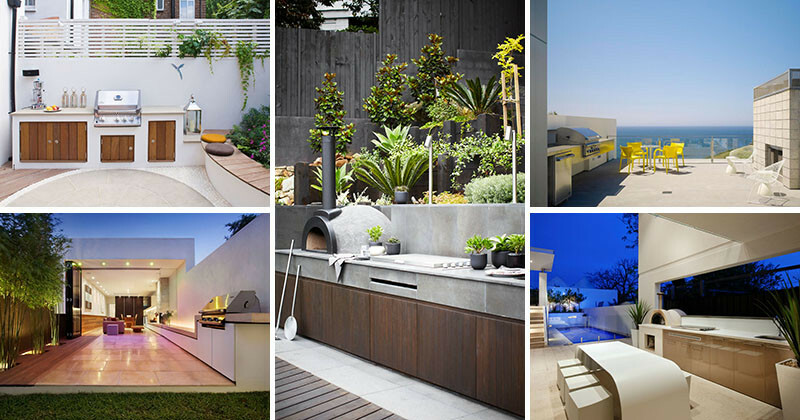 Summer is on its way, so here are 10 excellent examples of outdoor BBQ areas to get you inspired for a backyard grilling party! 1. 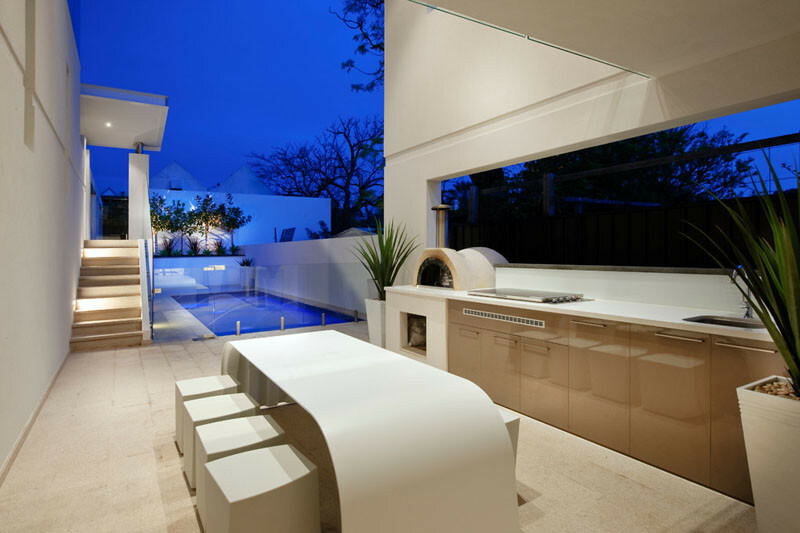 This outdoor kitchen features hand polished stone and a pizza oven. 2. 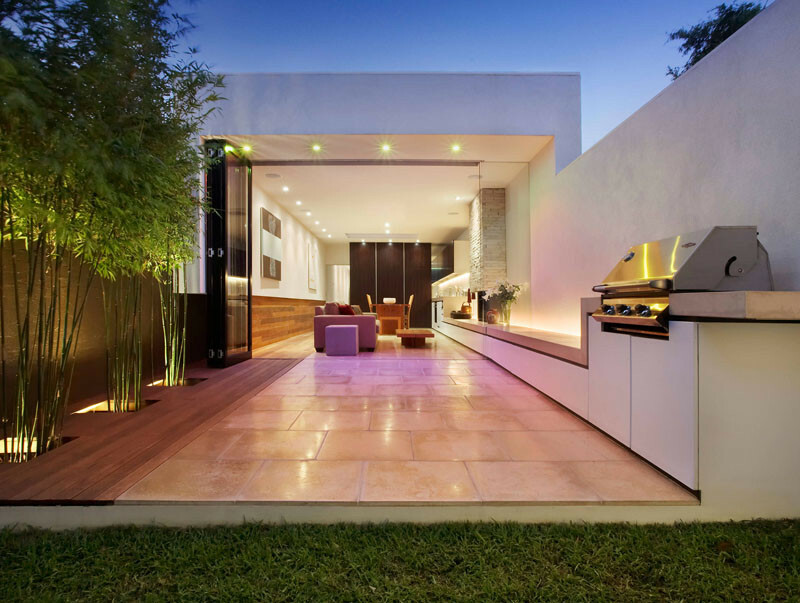 This built in BBQ is part of a back patio with curved bench seating. Designed by Germinate Design. Photography by Clive Nichols. 3. This BBQ has been built so it can be hidden away when not in use. The Brighton Home designed by MR.MITCHELL. 4. 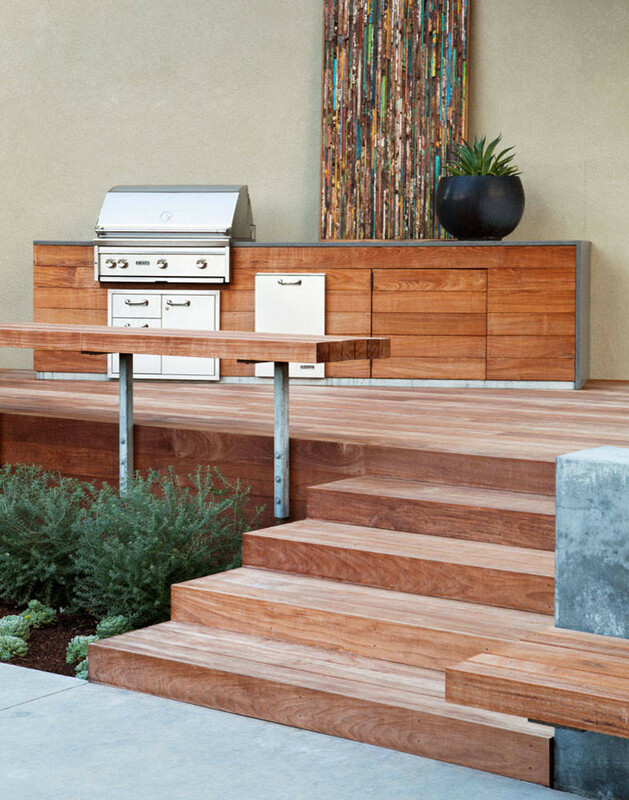 A double stainless steel BBQ is built-in to the deck of this California home. The Acacia Home designed by Brandon Architects. Photography by Jeri Keogel. 5. 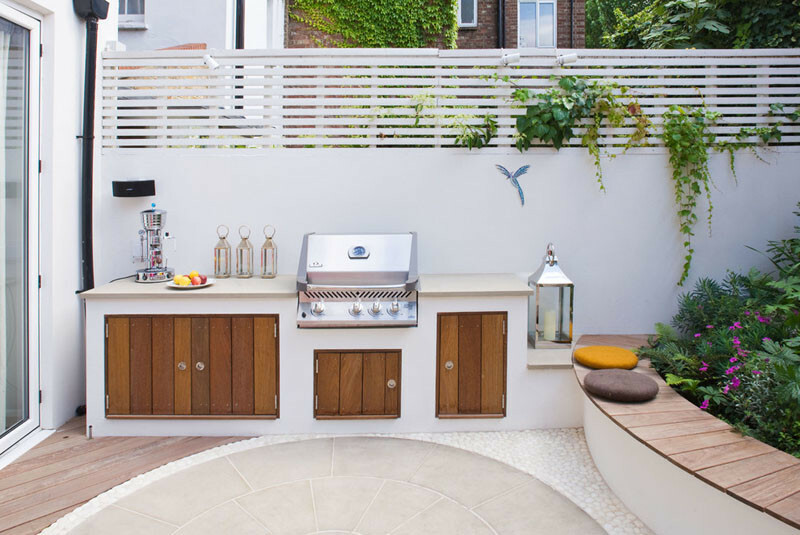 The combination of wood and stainless steel give this BBQ a rustic yet modern feel. Menelo Park Gathering Table designed by Arterra Landscape Architects. Photo by Michele Lee Willson Photography. 6. 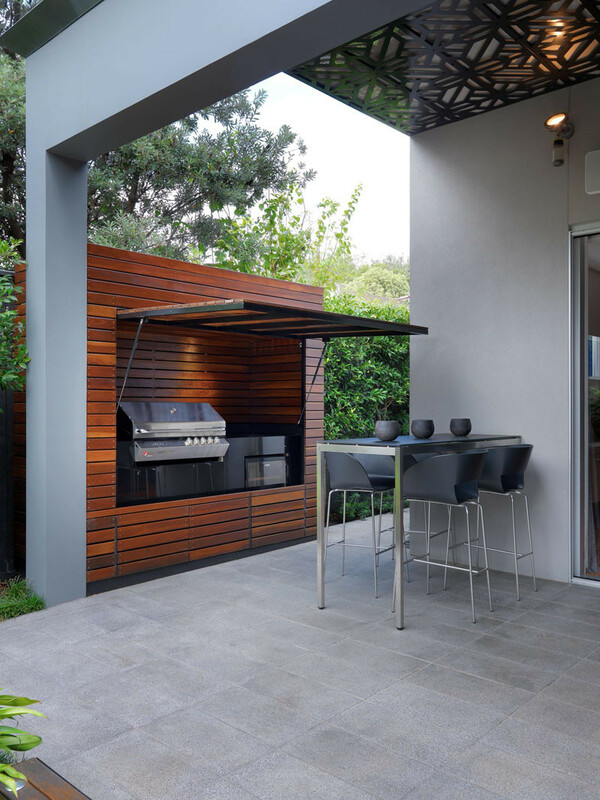 This BBQ is built into concrete that runs the length of the kitchen all the way outside. 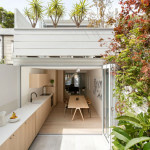 The South Yarra Residence designed by Matt Gibson Architecture + Design. 7. 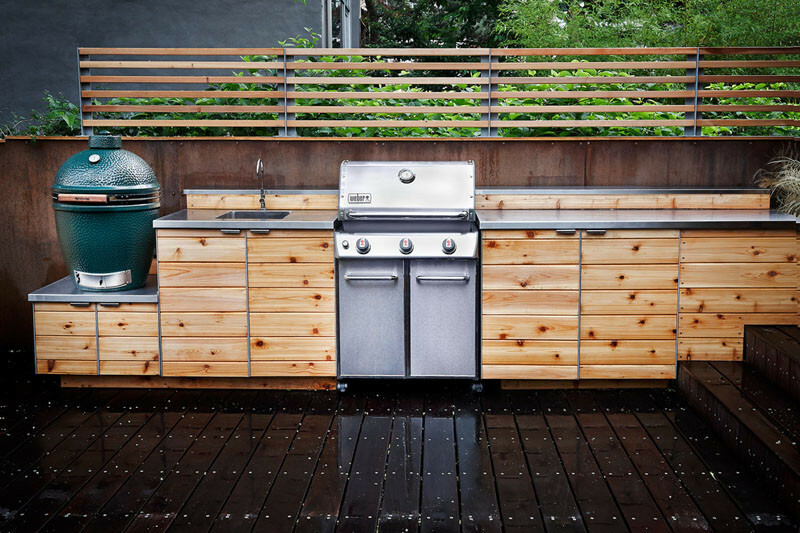 This BBQ is surrounded by knotty wood cabinetry and a stainless steel countertop for easy food prep. 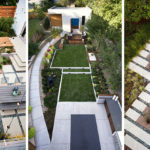 Red Hook by New Eco Landscapes. Photography by Lori Cannava. 8. 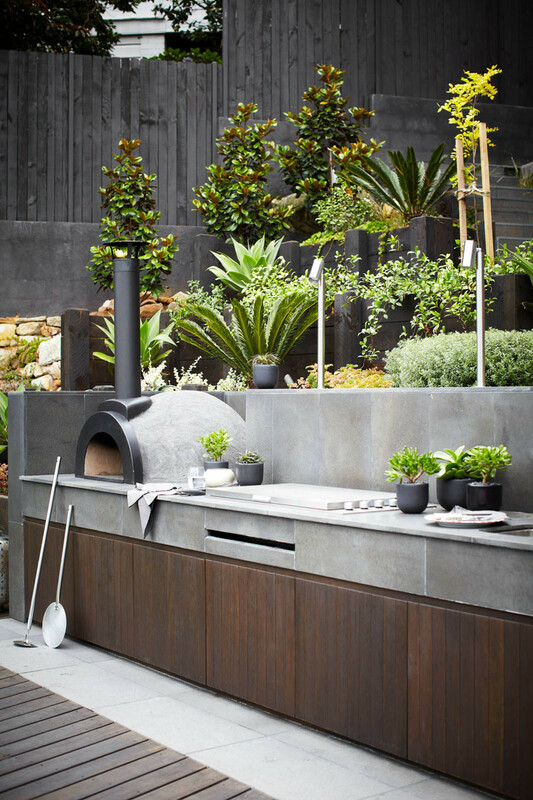 This outdoor kitchen features a built in grill as well as a pizza oven. 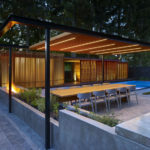 Derby patio designed by Daniel Lomma Design. Photo by D-Max Photography. 9. 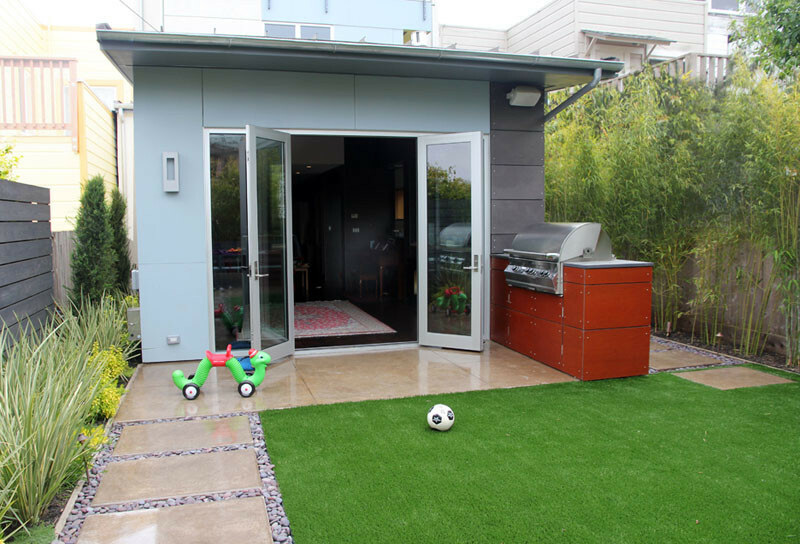 This little BBQ area shows that a small backyard and little kids don’t have to stop you from being able to have a stylish outdoor entertaining space. Modern San Francisco Living designed by Boxleaf Design, Inc.
10. 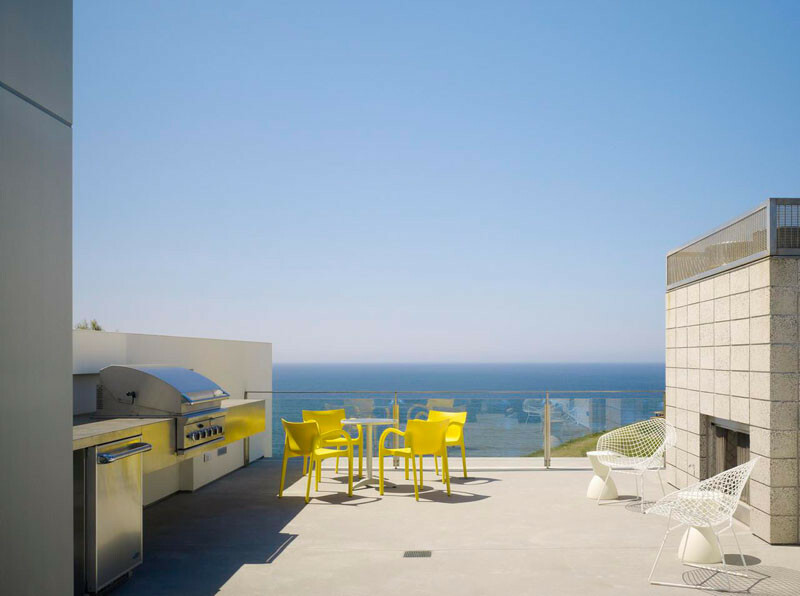 This built in BBQ lets people enjoy their meal outside while overlooking the ocean. Zeidler Residence designed by Ehrlich Yanai Rhee Chaney Architects. Photo by Matthew Millman.